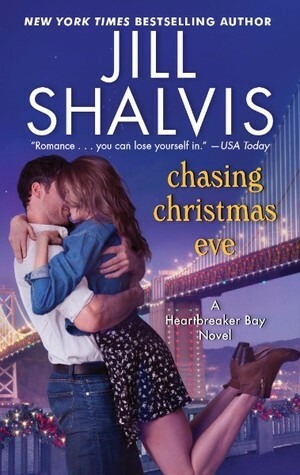 Chasing Christmas Eve is book 4 in the Heartbreaker Bay series. I've loved each of the books in this series but this one is right up there as one of my favorites now. The series changes leading characters with each book as we progress through a group of friends and meet their love interests. All of the friends are awesome and I love that we get to see what our past leading characters are doing now. I've been waiting for Spencer's book for awhile and was so glad to see this was his story! The love interest, Colbie is a writer and oh man were there funny scenes. We start off meeting Colbie Albright at the airport. She's running away from New York to escape everything and heading to San Francisco to hopefully get some writing in for her next novel. There is a hilarious scene in the airport that makes me question if this has happened to JShalvis or any of the authors she knows. Anyway, Colbie winds up in San Francisco and is walking down the street when next thing she knows she's dunked in a fountain by the excited dog Spencer is walking. After chatting a bit and drying off, she winds up staying in an apartment in the building. This of course leads to Spencer and Colbie connecting as friends but the sparks are seriously flying. Both are hiding things from the other, Colbie being an author and Spencer being mega wealthy and one of the top ten eligible bachelors of San Francisco and I was interested in seeing what would happen when everything was revealed. As always, the friends make this book so lively, I had to laugh at some of the antics that happened with them. The romance though *fans self* I fell in love with this story and know you will too. Chasing Christmas Eve is a fast read that you'll fall in love with. I loved that this book had a YA writer in the mix as the love interest. I'm always surprised more authors don't add that as one of the leading character's professions. I thought it worked well with the plot and loved seeing how similar both of them were seeing as they both dive into their work and don't come up for air. With steamy romance, strong friendships and plenty of humor mixed in this book is a must read. 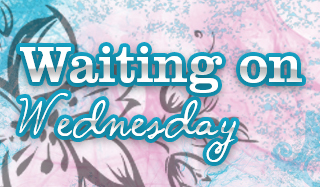 If you're a fan of Contemporary Romance, you need to try this series out! I still haven't read one of her books, I keep saying I will and just haven't yet but I plan to. Book two and this book (four) are amazing!! I skimmed your review as I am getting ready to read this one. Hope you love it Nadene!! I still need to try Jill Shalvis. Glad you enjoyed this one.